Today we will discuss about Magneto Ignition System. In my last post we have learnt about Battery Ignition System its parts and working but the Magneto ignition System is completely differ from it. Magneto is a special type of ignition system with its own electric generator to provide necessary energy for the ignition system. It replaces all component of battery ignition system except spark plug. Today we will complete study about this system. It is the major part of this type of ignition system because it is source of energy. A magneto is a small electric generator which is rotate by the engine and is capable of produce a very high voltage and does not need battery as a source of external energy. The magneto contains both primary and secondary winding thus it does not require a separate coil to boost up the voltage required to operate the spark plug. There are two types of magneto. 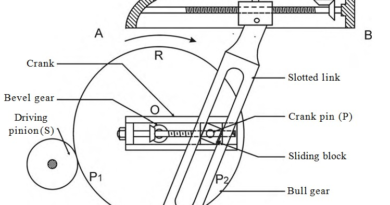 First one is known as armature rotating type and other one is known as magnet rotating type. In the first type, the armature rotates between the stationary magnate. On the other hand in second type armature is stationary and the magnates are rotating around armature. The working principle of magneto ignition system is same as battery ignition system except in the magneto ignition system Magneto is used to produce energy except battery. The diagram of four cylinder magneto ignition system is as follow. First when the engine starts or during cranking magneto rotate which generates a very high voltage. The ignition capacitor connected in parallel with contact breaker. 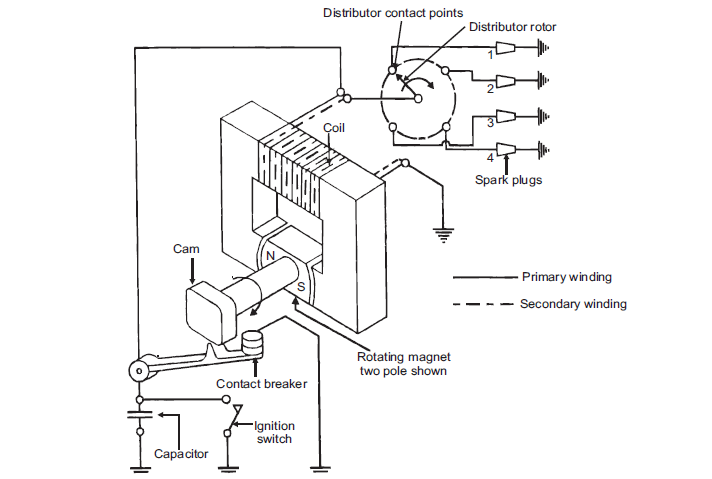 One end of magneto winding is also grounded through contact breaker. The cam regulates the contact breaker. Wherever the breaker open, current flows into condenser, which charged the condenser. As the engine speed is low at starting, the current generated by the magneto is quite small. As the engine speed increases the flow of current also increases. Thus with magneto ignition system there is always starting problem and sometimes a separate battery needed for stating. This ignition system is best suited at high speed so it is used in racing cars, aircraft engines etc. 1. This system is more reliable at medium and high speed. 2. It is more reliable because no battery is used. 3. It requires less frequently maintenance. 1. It has starting problem due to low cranking speed at starting. 2. It is more expensive compare to battery ignition system. 3. There is possibility of misfire due to leakage because wiring carry vary high voltage. 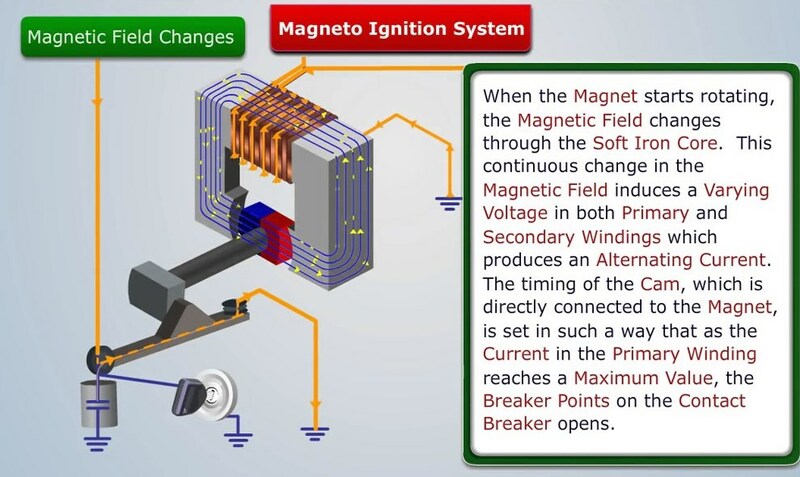 This is all about magneto ignition system parts, working, advantage and disadvantages. If you have any query regarding this article ask by commenting. If you like this article, don’t forget to share it on social networks. Thanks for reading it. both primary and secondary windinding are coiled in the same iron core therefore when the flux of the magneto cuts the primary winding then in secondary winding also current should induce this will happen at same time in both primary and secondary then how the current will induce in secondary winding.